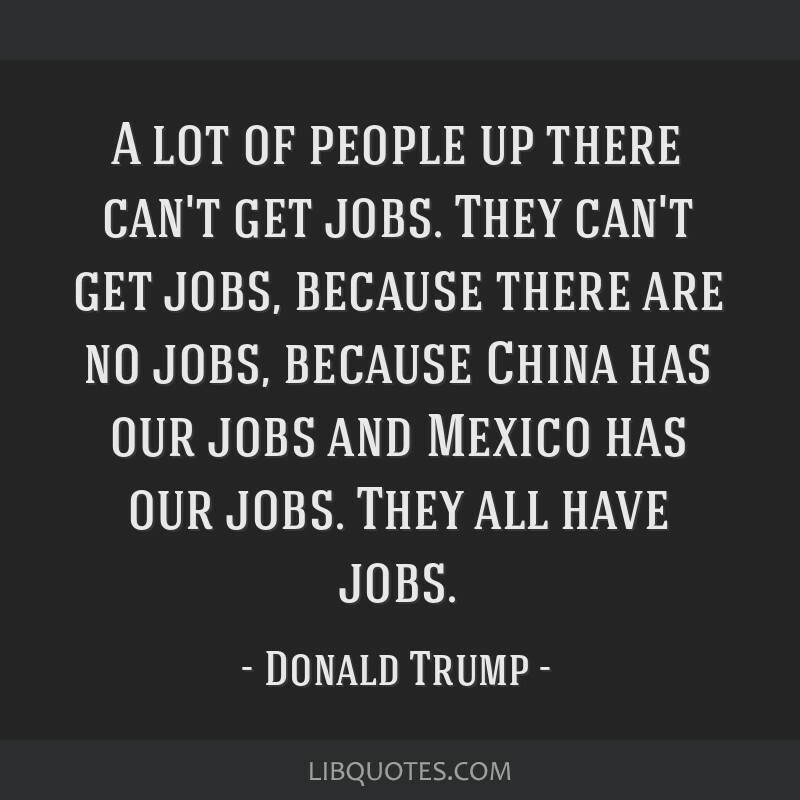 A lot of people up there can't get jobs. 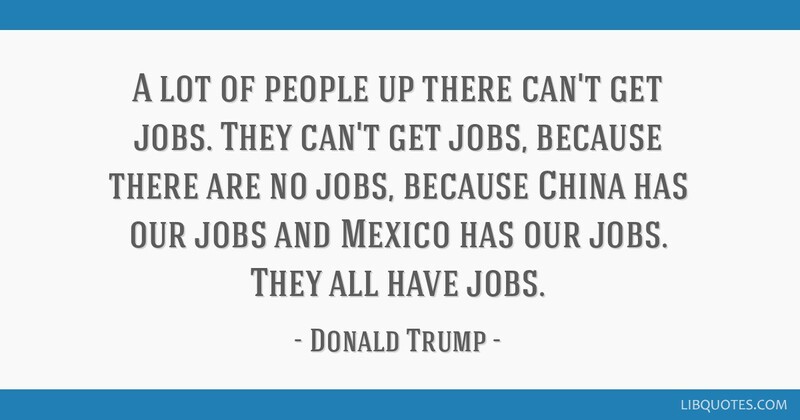 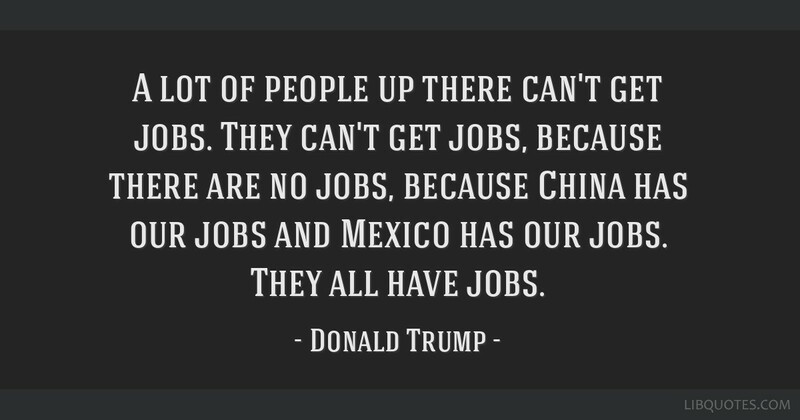 They can't get jobs, because there are no jobs, because China has our jobs and Mexico has our jobs. 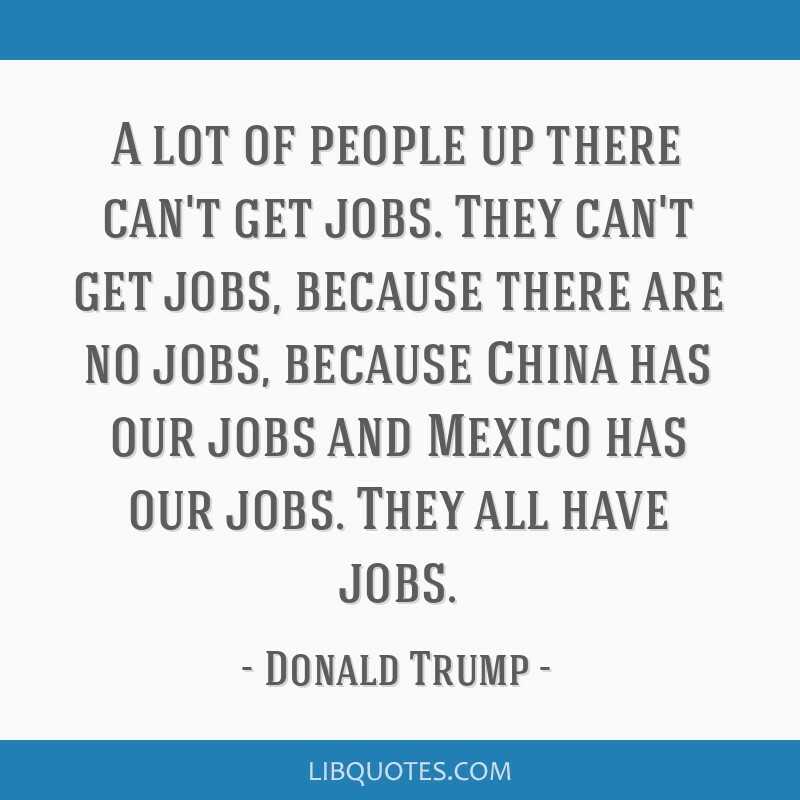 They all have jobs.